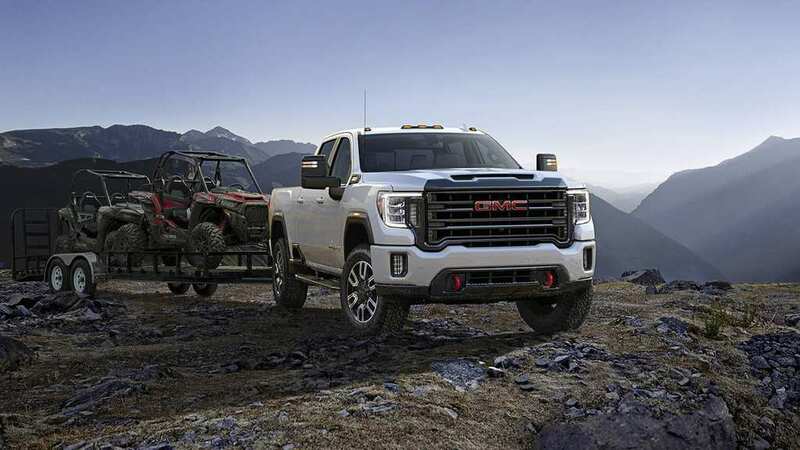 GMC recently released the first photos of its 2020 Sierra Heavy Duty pickup truck, providing us with an exciting glimpse into what to expect. The initial impression is that it leaves the Chevy, Ford, and Ram competition far behind. GMC has called it “a commanding, powerful design rooted in new architecture with large proportions,” and it sure looks like it. In addition, you can see why they commented on the “rugged, distinct look” that piques our interest. In addition, the new Sierra will have was GMC calls a “confident stance,” referring to the taller and longer proportions. The Sierra Heavy Duty truck is going to feature quite a slew of technologies that promise to make both towing and trailering a cinch. In addition, safety will only increase, the company says. It is to feature an upgrade ProGrade trailering system with no less than eight cameras and 15 camera views. In two of these views, the trailer will appear to disappear by compiling two shots, one from the back of the trailer and the other from the back of the truck. The screen will display both of them laid on top of one another. The 6.6-liter turbo diesel Duramax will be featured, paired with an Allison 10-speed automatic transmission. The turbo diesel has 445 hp and 910 lb-ft of torque. The Sierra will be able to pull “well in excess of 30,000 pounds,” GMC says. That’s quite a number. As for the gasoline engine, we will have to wait for more updates from GMC.